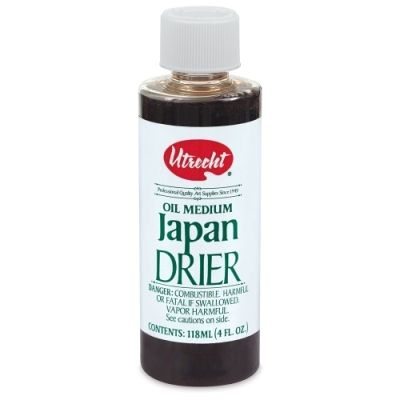 Utrecht Japan Drier is an ideal medium for gilding oil paintings. The name comes from the 17th century European practice of "Japanning," a process designed to imitate Asian lacquerwork. Simply apply Utrecht Japan Drier to your painting surface and allow it to dry to a high tack, then apply gold or silver leafing, smooth, and burnish. It is made in the USA.